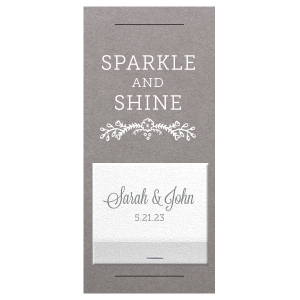 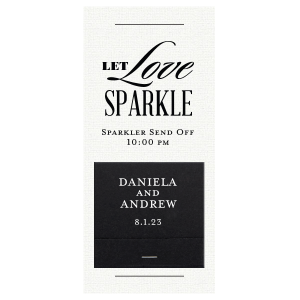 Let the sparkles fly on your wedding night with personalized wedding sparkler sleeves with 30 strike matchbooks! 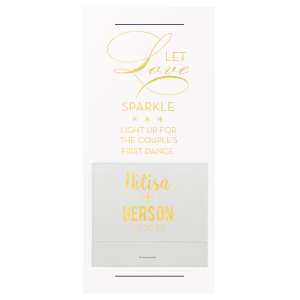 Not only are they ideal for convenience, but they also make a fantastic table display. 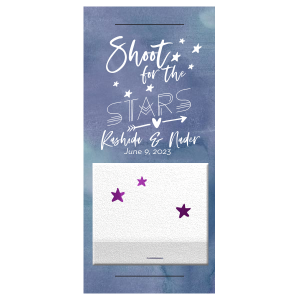 Lighting up the perfect night is not only an amazing photo opp but also a memorable experience for all, so create your custom sparkler sleeves today. 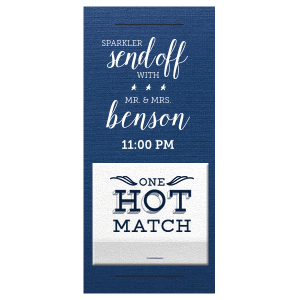 Sparkling up your wedding night just got easier with personalized 30 strike matchbook wedding sparkler sleeves. 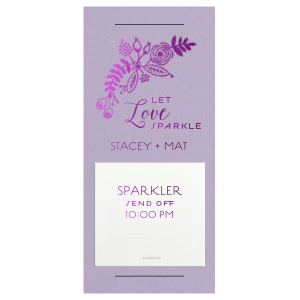 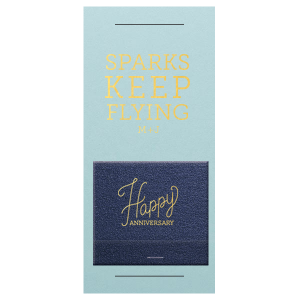 Combining our sparkler sleeves with a personalized matchbook makes the ulitmate wedding send-off that much better. 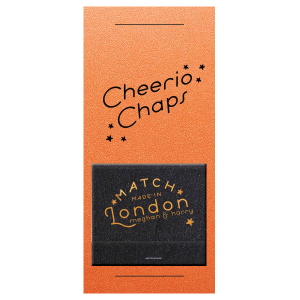 No fumbling for matches when it is all in one place! 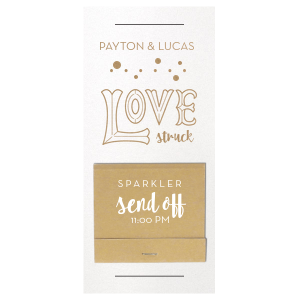 Plus, you can design your personalized sparkler sleeves with 30 strike matchbooks to complement the theme and color scheme of your wedding. 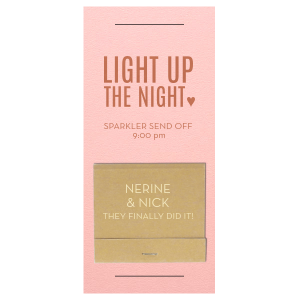 One of our favorite wedding sparkler sleeve with matchbook designs is the Light The Way sparkler sleeve with matches. 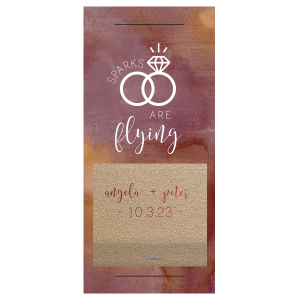 The sleeve lets wedding guests know when and where the send-off will take place while the matchbook has the newleyweds names on it. Customizing a design is easy using our customizer tool, you can create the perfect personalized sparkler sleeves with 30 strike matchbooks. 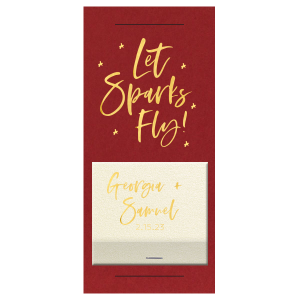 Get started customizing your wedding sparkler sleeve with 30 strike matchbooks now to light the way with love at your wedding party.